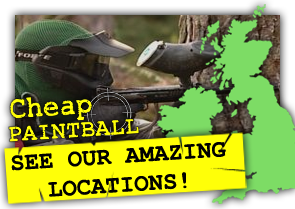 Here at Cheap Paintball, we are offering a full day of Paintball, including 100 Paintballs, at any of our 27 venues across the UK for only £9.99 per person! Our venues are all highly rated members of the UKPSF (The governing body for Paintball in the UK), and provide customers with the latest commercial Paintball Guns, Paintball Goggles, and safety equipment. Each Paintball site has its own wide variety of game arenas, ranging from woodland scenarios, to forts, bridges, trenches, and even tanks! 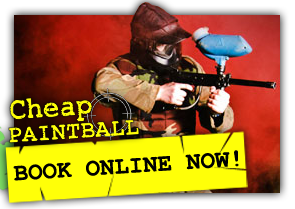 Cheap Paintball UK is NOT an agency. We don't take a cut of your game fee from the venues. When you send an enquiry, or fill out a contact form, or make a booking on this website, you are dealing directly with the staff at the venue you have selected. Click on the map to see our venues! Never played paintball? Why not send a Tweet and give it a go!